Oliver Rowland is the first driver announced for Manor’s step up to LMP1, which will be run under the CEFC TRSM Racing banner. The team made the announcement on Friday morning, ahead of the FIA World Endurance Championship and 24 Hours of Le Mans entry lists are revealed at the ACO press conference. 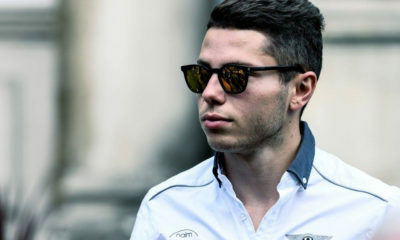 Rowland draws most of his experience from single-seaters and finished third in the FIA Formula 2 Championship last season. He previously won the Formula Renault 3.5 Series in 2015 and will make his sports car and endurance racing debut with CEFC TRSM. The 25-year-old is not only the first driver confirmed in Manor’s Ginetta G60-LT-P1 but the first driver announced in any of the Ginetta LMP1 programs. The Anglo-Chinese team has confirmed one Ginetta but could expand to a two-car program, while likely also running an LMP2 entry. “I am very excited to be joining TRSM for the LMP1 World Endurance Championship,” Rowland said. “Endurance racing is a new experience for me and it will create a fresh challenge, but I am really looking forward to working with the team and driving such an amazing car. “Competing in the 24 Hours of Le Mans is extremely exciting and it’s something that I’ve always wanted to race in. The entire WEC and Le Mans fields will be revealed later today.